I took a bunch of different pictures, but those two sum it up: They’re different, but not better. 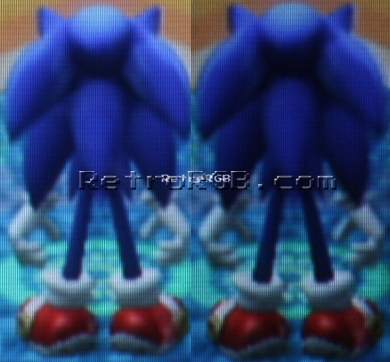 If you played with the brightness and contrast, you could probably make them both look almost identical. – First and foremost, if you’re using a TV or monitor that accepts 480p, it will always be better to use 480p component video output, regardless of PAL or NTSC. – If you have a PAL Wii, you can get the official Nintendo SCART RGB cable very cheap and use RGB. 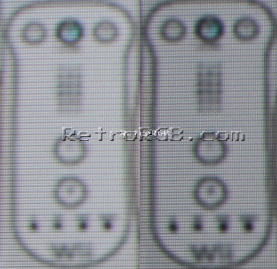 – If you have an NTSC Wii, stick with 480i component, as it’s much easier…just plug and play. Well, that just about sums it up for the Wii’s video output choices. Please click here to go back to the Wii page.